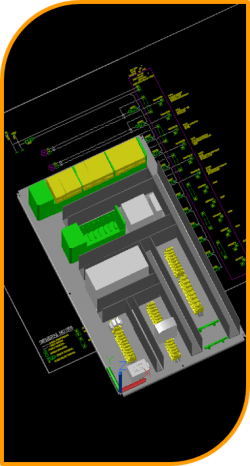 CADWorx™ can be used for electrical modeling and plan drawings. 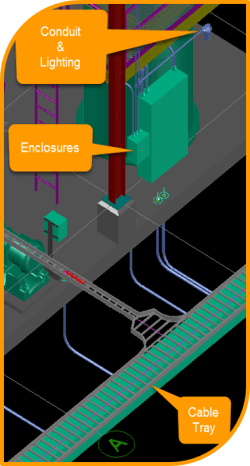 Deploying electrical modeling specifications which include Cable Tray, Conduit, and Conduit Fittings will help satisfy an array of EI&C project requirements. All parts are compatible with CADWorx™ modeling, bill of material and database features so mechanical and electrical, designers can get their work done within one platform! All symbols are compatible with CADWorx™ P&ID menu, data tables, bill of material and database functions.